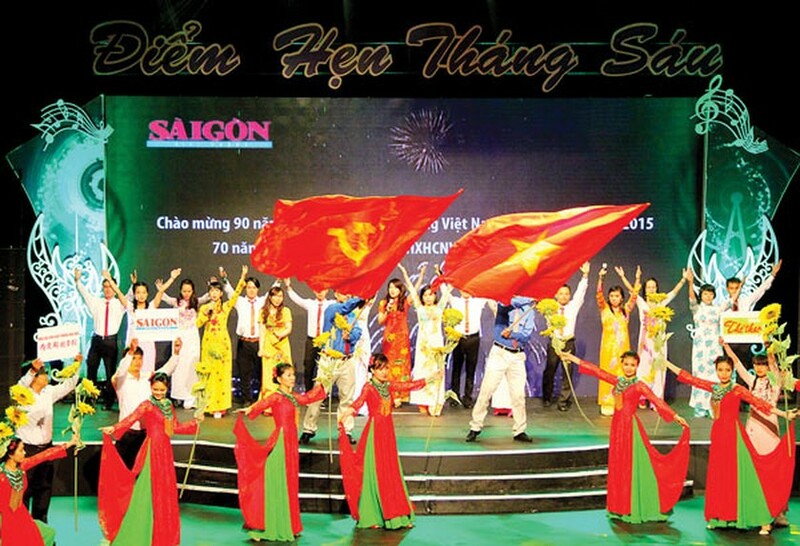 Marking the 90th anniversary of Vietnam's Revolutionary Press Day (June 21, 1925- June 21, 2015) and the 70th anniversary of Independence Day (September 2nd, 1945- 2015), the Standing Agency of Central Committee of the Central Propaganda and Training in Ho Chi Minh City collaborated with representatives of the ministry and department of Information and Communication, the Vietnam Journalists Association in HCMC and HCMC Television yesterday organized an art performance at HTV Theater. All art items were performed by staffs, officials and reporters from representative offices of central press agencies and press agencies in the southern region. Attending in the program were Minister-Chairman of the Government Office Nguyen Van Nen, Deputy Secretary of HCMC Party Committee Nguyen Thi Thu Ha, Head of the Department of Propaganda and Training of the HCMC Party Committee Than Thi Thu. The organization board announced the first winner belonged to Binh Duong Radio and Television. 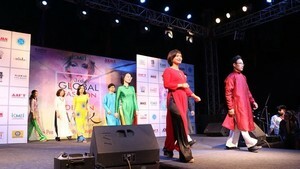 In the talent category, Saigon Giai Phong, Thanh Nien Newspaper, Radio Voice of Vietnam and Vietnam News Agency won the third prize; meanwhile, the first winner went to VTC, and the second prize went to Dong Nai Radio and Television.